Daft Punk is a household name for music nerds now, and all the kids on the playground wear helmets and robot suits and speak French. Their sophomore album Discovery was a massive hit with four big singles still sampled and heard in movies and stuff, and they scored Tron: Legacy, which was the best thing about Tron: Legacy. In 1997, though, Daft Punk were one of the handful of acts said to be the future of music, part of the “electronica” boom that was supposed to be the next big thing in music, the new grunge or the new punk, even though it was robot music made by robots. And yet “Da Funk,” and Daft Punk, and that sad man-dog were all overlooked. “Da Funk” did go to #1 on the club play chart, and went top 10 in England and France, but could not get in the house (see what I did there?) 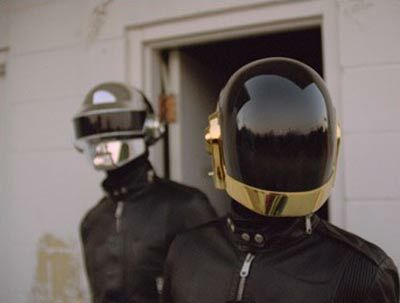 in the U.S, which is ironic because Daft Punk’s intention with this song was to create an American-style hip-hop song (which they called a funk song, but ended up making a rock song).